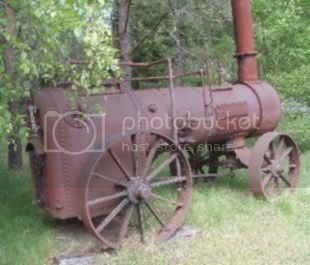 A rusty traction engine, about 2 miles from where I live, on a private estate. Sorry I chopped off the chimney, but there's a low wall and some trees behind me. Gosh yes, TT what a lovely building!I remember CravenA's very well! 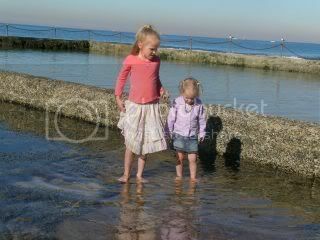 We are officially into the last month of Autumn but this was today at Cronulla Beach. Nothing matters half so much as you think it does. Another picture of Jwaneng area in Botswana. I have to admit I don't know what's all this 'Rosie' stuff about. 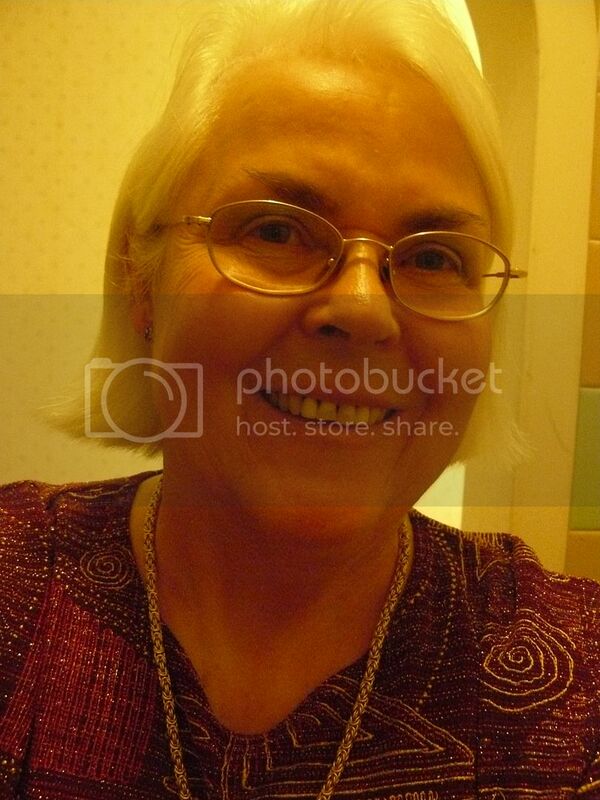 To me that photo never showed up bigger than allowed, so I guess I've entirely missed the fun part . Copago - that "wires" photo is very real and close to my house. We are not that lucky as others - we live in a very crowded city. Rolfie is a sweetie! 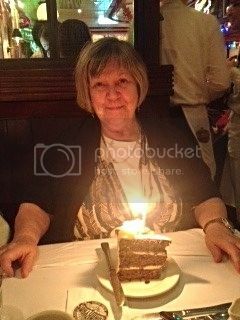 Welcome back, Lady, can't wait to see more pics of your trip. The first morning of shearing and all hands on deck. This is a statue of the Golden Boy which sits atop our Legislative Building. This photo was taken after he was brought down for refurbishment and new gold leaf. He was cast in Paris France in 1918, he survived the factory being bombed during WWI and was placed in the hold of a ship to be sent to Winnipeg but the ship was commandeered as a troop carrier during the war but he finally made it in 1920. 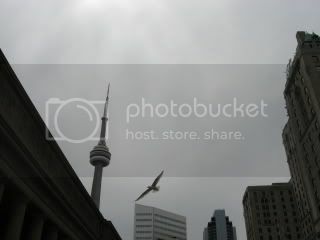 There were dozens of gulls swirling around in front of Union Station in Toronto when I went to catch my train yesterday. 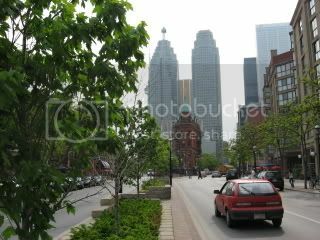 This one is framed by the station and CN Tower on the left, and the Royal York Hotel on the right. More rain forecast for today, so I'm sitting tight here and looking through my London pics. I liked this pub (The Cockpit) tucked away at the corner of St Andrew's Hill and Ireland Yard in the City. It has a nicely maintained Victorian "gin palace" look about it, but I think it may go back further. 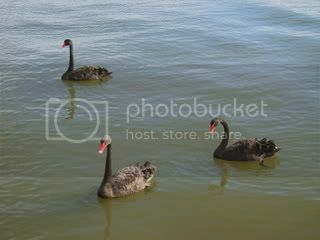 Another photo from the RSPCA Million Paws Walk - Western Australia's famous black swans swimming on the river named after them, the Swan River. The black swan is the emblem of our state. I am sure it does TT.. even I used to drink there!! Its a lovely little pub. Very thundery and wet today, and I didn't want to get out of the bus to take a new pic , so here is the same church close up. Couldn't resist this one of my daughter and her niece. This was our home for the 18 days we were away. The tent on top is for sleeping and the trailer held our chairs, table, food and cooking and eating utensils. I took this photo while on a hike in Whiteshell Provincial Park. This is part of what is called the Canadian Shield. 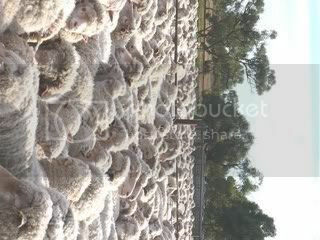 My goodness Jillian, that is a lot of sheep. Just how many sheep do you have? 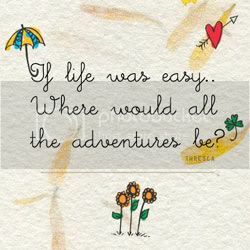 I know, it is probably a pretty stupid question. I have provided my cat with numerous beds and fluffy mats so he can have something nice and soft to sleep on, he also has a chair and sofa in the kitchen plus the same in the lounge. So why was I able to take this photo? 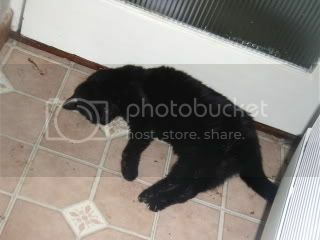 Gosh Sue it looks like he was out all night and just made it in the door before collapsing. Copago, are we going to see one sheared like a poodle??? Yep, Jar got a shearer lined up to do it. He ran out of smokes this morning so I fixed him up with some of ours if he'd do a poodle sheep for me. LOL Will have to wait until we get onto the smaller, younger sheep which is fair enough, the smaller the easier. Sue, we have about 7500. About 1500 whethers (castrated males) were done earlier in the year though and it's the ewes and weaners that are being done now at the main shearing. Should take about 8 days but it's raining this afternoon so they'll stop until the sheep dry out. I took some photos of the moon tonight, but they didn't turn out as I'd hoped they would. Here, therefore, is another pic from Toronto. That's the Flatiron Building, being dwarfed by those two rather ugly tall buildings. I really loathe the appearance of the outside of the HSBC HQ which was much heralded here when it opened. It is however much admired by the tourists. This is interesting though, and well worth seeing. 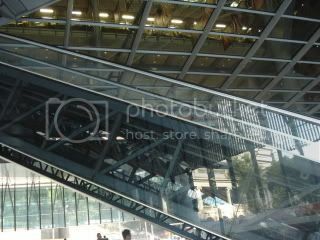 The escalators inside the structure are glass fronted so you can see the works inside. I like that bit. When I was a kid there used to be a black swan on one of the lakes in the park here in Hastings: I wonder what it thought of the climate here compared to Western Australia. It was about 11 a.m. when I took this picture in Carting Lane off the Strand in London, but this street lamp was still burning. It's fuelled by methane from the sewers and burns day and night. I think there were quite a few of them when the Victorian sewers were new, but this is the only one left today. How long does it take to shear all those sheep? Aren't there sheep shearing contests? LOL What's the fastest you can get one finished?